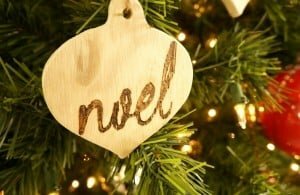 I have a simple ornament to share with you today, seriously simple. It was a quick and easy project with one key supply I picked up at the Dollar Store. 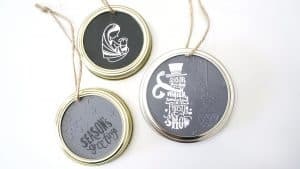 I’m sharing this ornament post with a great group of bloggers in this month’s Dollar Store DIY hop. 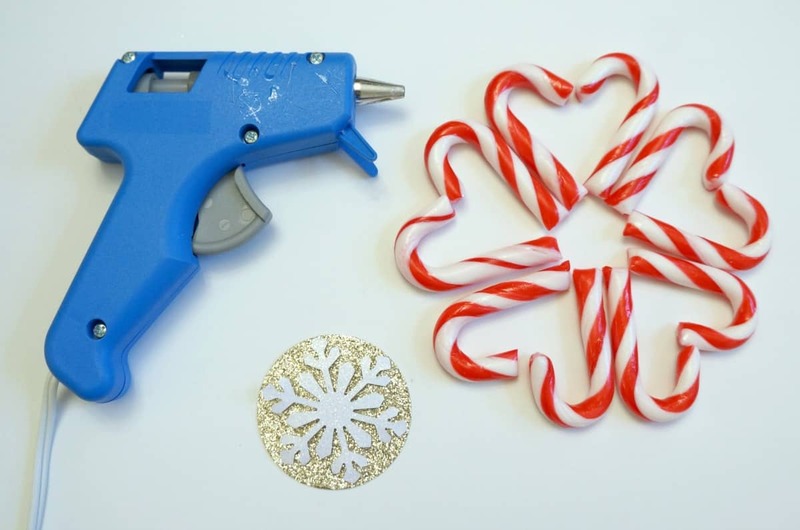 You can find their Dollar Store holiday projects at the end of this post so be sure to check them out. 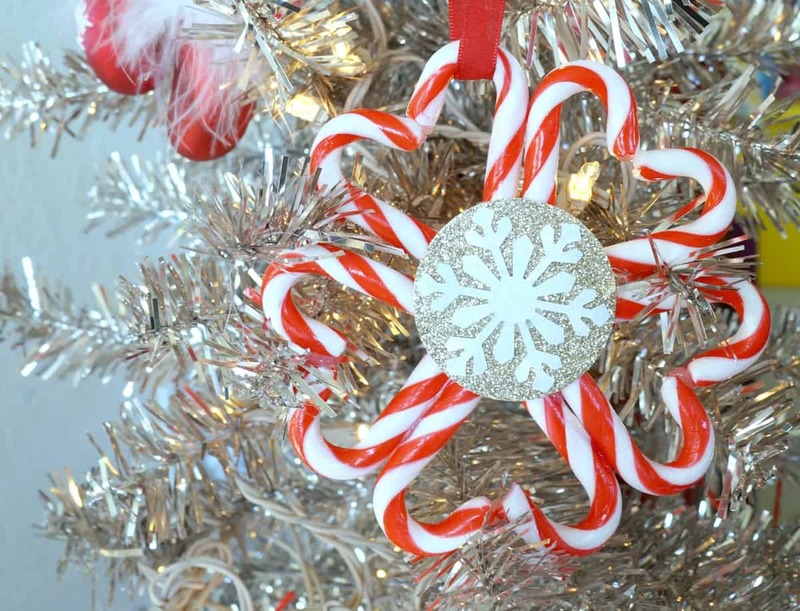 I was inspired to make a candy cane ornament after my youngest spotted a box of mini candy canes at the Dollar Store last week. I bought them and when we got home played around with different shapes until we came up with this cute ornament. Starting with a handful of candy canes I arranged them into a circle alternating directions. Once I had them laid out I began gluing each candy cane to it’s neighbor. I finished by using hot glue to adhere a glittery embellishment to the center. I have a variety of decorative punches in my craft room. 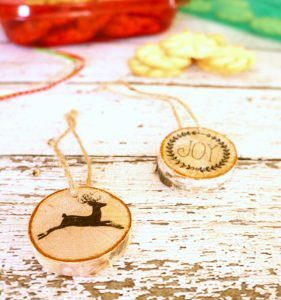 These easy to use go to punches make quick work of creating embellishments like this. I used thick glitter cardstock and punched a circle out of gold and a snowflake out of white. Consumer Crafts has a large variety of fun punches that cut through textured cardstock like this easily. You can view their full collection here. My 3 year old helped make this candy cane ornament so it’s fitting that it hangs on the kids tree. This shiney silver tree sits in our living room right next to the big tree. The kids are free to decorate it however they choose with ornaments they have made over the years or new creations. I’m not opposed to kids ornaments on the big tree but my girls love having a little space of their own. It’s also the tree Santa leaves his gifts under so it has to be decorated just so. 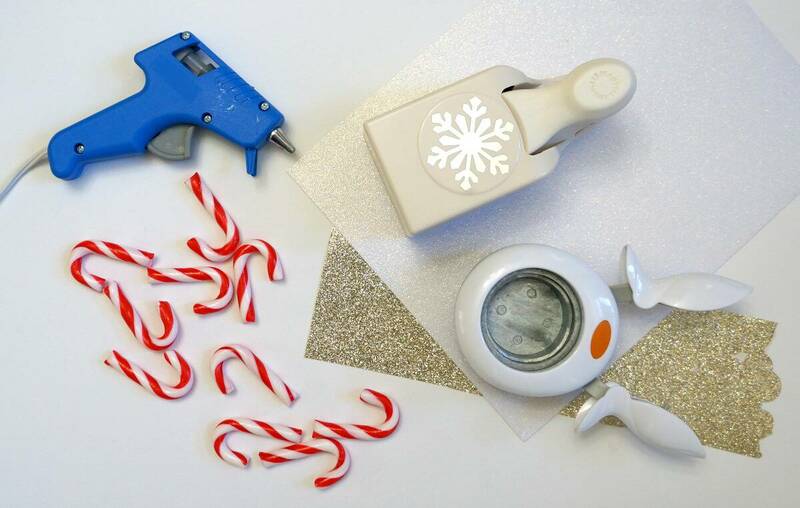 Be sure to check out more Dollar Store holiday projects below, I hope you are inspired to create some beautiful and inexpensive decor this holiday season. I just love that silver tree. And this has to be my favorite project so far this year. It’s so stinking cute.